Two months ago, I started my semester abroad at Sciences Po Lille, in the northernmost part of France, only a few kilometres from the Belgian border. “Le Nord” is different from other parts of France: not only can you eat delicious macarons and crêpes, but you can also drink beer and indulge in Belgian waffles, and moules frites (French fries with mussels). 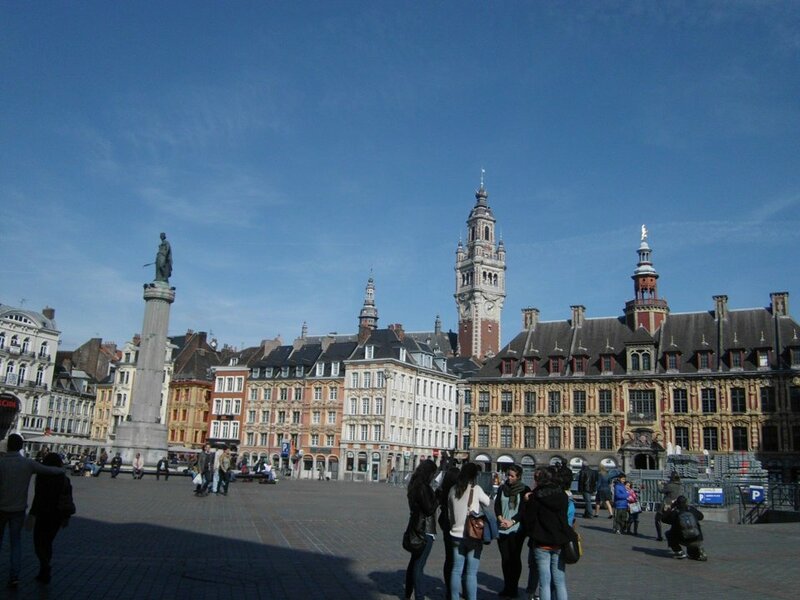 Lille has a very nice old city centre and a vibrant student life with plenty of parties, events and organized trips. The start of my stay was far from perfect. Finding housing, especially decent housing, is quite difficult with about 110,000 students in the Lille metropolitan area. I recommend that you start searching early and, if possible, visit Lille before you start your stay abroad so you can take a look at the room or flat. You can also join Facebook groups about housing in Lille. The university, Sciences Po Lille, is one of France’s ‘elite’ universities for political science. It has a great choice of courses in political science, sociology and economics: even if you don’t speak French, there are quite a number of courses in English to choose from. Nevertheless, it helps a lot to speak the lingo – the university offers a range of language courses at different levels. One thing that surprised me was the way of studying in France: unlike the Netherlands, the lecturer often talks for hours without giving any kind of presentation, while the French students write down almost everything he/she says. It still seems strange to me, but it’s certainly part of the ‘ French experience’. At Sciences Po, there are many other Erasmus students, so you’ll soon find yourself part of the social life, which will make your stay a great experience! Apart from the many social events organized for students and exchange students, Lille is also a great starting point for travelling: by TGV or Eurostar, you’ll reach Brussels in half an hour, Paris in one hour and London in 90 minutes! This feeling of being at the heart of Europe was certainly part of what made my time in Lille so great.